Here is an example of a 3D Photo Realistic Lake Scene of Upper Tamar Lakes in Holsworthy, Devon. Upper Tamar offers sailing, windsurfing and kayaking for individuals, families and groups. The aim of the design was to show how exploring in North Cornwall and Devon was perfect for families, groups and couples, and to also learn more about creating nature scenes in the process; creating elements like insects, creatures, water, mountains, twigs, trees, hedges. 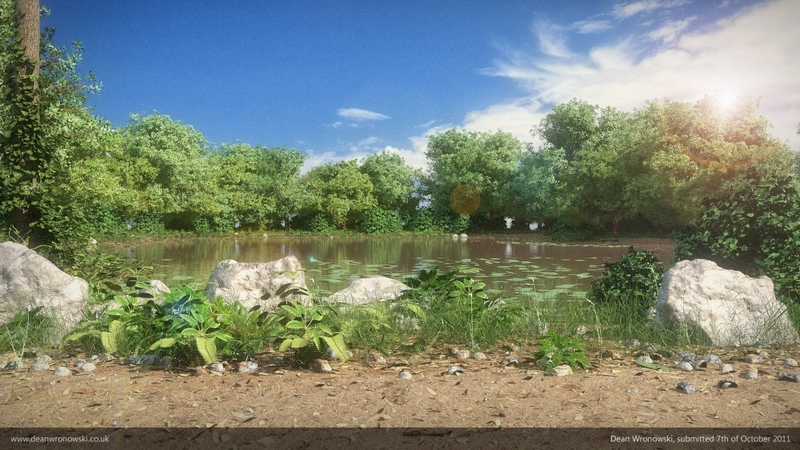 It was created using an ivy generator, Arbaro (tree generator) and Blender to bring everything together.